This is a very intriguing and poetic novella. Nicole Brossard writes about her experiences as a woman writer in her hometown of Montreal, as well as her process of writing books. 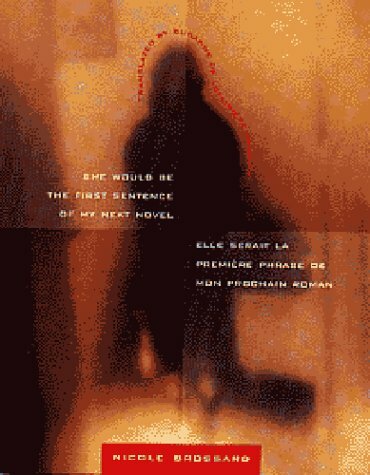 At first I found her thoughts a little bit odd; for example, she was strongly against the traditional novel format, but as I read more of this book which is part poem, part essay, part autobiography, it became clear that what she was rebelling against was patriarchy, which she believes limits writing. The ability to enter an artist’s mind and see their creative process is something I always enjoy doing and it helps me appreciate their work more. This book has very strong feminist material, and it gives food for thought about literature written by women for women, as well as discussing how Quebec literature has changed since the Quiet Revolution. 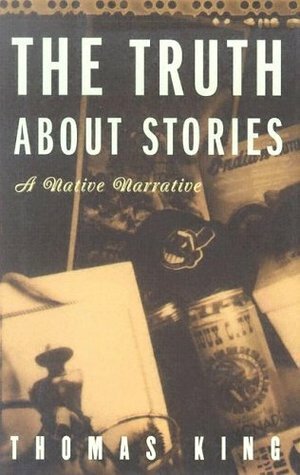 I realized that I had read a few of these CBC Massey lectures in a college lit class that focused on Native Canadian and American literature. It was really rewarding to re-read them after a relatively long interval as I have learned more Native Canadian history in the interim (residential schools, Idle no More movement, etc). The lectures were brilliant. King manages to be witty, snarky, sarcastic and informative all in one. He exhorts “the story,” and I must say that even as a reader I hadn’t really considered the real significance of the story. As King said, “The truth about stories is that that’s all we are.”King talks about the importance of oral storytelling, a dying art and one that often isn’t respected. He talks about the importance of decolonizing stories, and the need to place equal importance on all stories, regardless of origin. Off-topic: The Native Canadian/American struggles remind me so much of colonialism and postcolonialism in Africa; there are so many parallels. Reading the part of Mandela’s autobiography when he and Winnie Mandela stopped over in Nunavut after he was freed from prison, struck me. Mandela was surprised that the Native Canadians who lived up there knew him and were inspired by him. A reminder that heroes are universal and their zeal and hope can impact other groups . Some struggles are universal.